North Korea currently under robust international sanctions has put on extensive advertising campaign for the recent International Product Exhibition [Spring International Trade Fair] held in Pyongyang. A week has passed since the 16th Pyongyang International Spring Product Exhibition (May 13-16), but the Choson Sinbo, the bulletin of the Japan-based Chosen Soren, continues to run daily articles on the products displayed in the exhibition. The products displayed at the Pyongyang International Spring Product Exhibition, which is North Korea’s largest trade exhibition, provided a peak at the country’s current industrial trends. Moreover, this year’s exhibition introduced a number of products which are used in the daily lives of North Koreans. The (North) Korean United Trading Company exhibited over fifty categories of products including colored metal products and a variety of lubricants and ball bearings. Groups including the Sungri Economic Trade Alliance, the State of the Art Technology Development and Exchange Center, the (North) Korean Hard Glass Company, the Pyongjin Bicycle Joint Venture Company, etc. entered products which contribute to improving the lives of North Koreans. The Chosun Sinbo introduced various new products displayed at the exhibition, including shoes was introduced which treats athlete’s foot and dissipates odors with substances such as nano silver as well as complex lactic acid products and other pharmaceutical products made at the Pyongchon Koryo Pharmaceutical Factory. North Korea also focused on advertisement for automobiles and electronics. Pyonghwa Motors introduced over 30 new models at the exhibition, with the increase in demand. It also boasted that the new models were equipped with lower fuel consumption, reduced by two-thirds. North Korean media also praised computer products introduced by the (North) Korean Computer Center for its rise in popularity and international competitiveness. The Ryongak Computation Information and Technology Exchange Center introduced a new tablet PC which it dubbed the ‘Yongheung.’ It was reported that buyers welcomed the site for portable profile projectors which had TVs for viewing and allowed for comfortable exhibition of mass media materials. To overcome the current international sanctions imposed on North Korea, the exhibition is likely to be intended to increase its economic cooperation with the outside world. On May 22, the Chosun Sinbo reported that despite the United States-led economic sanctions on North Korea, many foreign enterprises participated in the exhibition in the hopes of expanding trade with North Korea. It highlighted that the Rason Comet Trade Corporation which is located in China and North Korea’s joint Rason Special Economic District, participated this year for the first time in the Pyongyang International Spring Merchandise Exhibition. The article explained that the Rason Comet Trade Corporation is exporting clothing including t-shirts and athletic wear to Indonesia, Thailand, China, etc. Pyonghwa Motors which exhibited 36 varieties of cars, passenger vans, and buses at the outdoor exhibition center, benefited from meetings with several foreign companies as well as North Korean trade and economic agencies. The 16th annual Pyongyang Spring Product Exhibition was held from the 13th to 16th of this month and companies from North Korea, Germany, Malaysia, Mongolia, Switzerland, Singapore, Australia, Italia, Indonesia, China, Poland, and Taiwan participated at the event with various products including machineries, electronics, light industry, foods, medical, and chemicals. Prosecutors indicted two executives of small trading houses in Nagoya and Tokyo on Wednesday on charges of exporting used personal computers to North Korea in violation of Japanese government trade sanctions. Lee Mun Ryang, 61, in Nagoya, and Kaoru Morino, 44, in Tokyo, allegedly exported used PCs and other items worth a total of 8.2 million yen to North Korea in June and December 2010, according to the Osaka District Public Prosecutors Office. 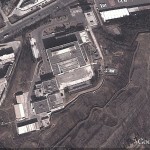 The exported goods are believed to have been delivered to the Korea Computer Center, North Korea’s governmental information technology research center set up by late North Korean leader Kim Jong Il. Both Lee and Morino were quoted by prosecutors as saying they knew that the goods would be delivered to the KCC. Japan has imposed a total ban on exports to North Korea since June 2009 in protest at its nuclear program. 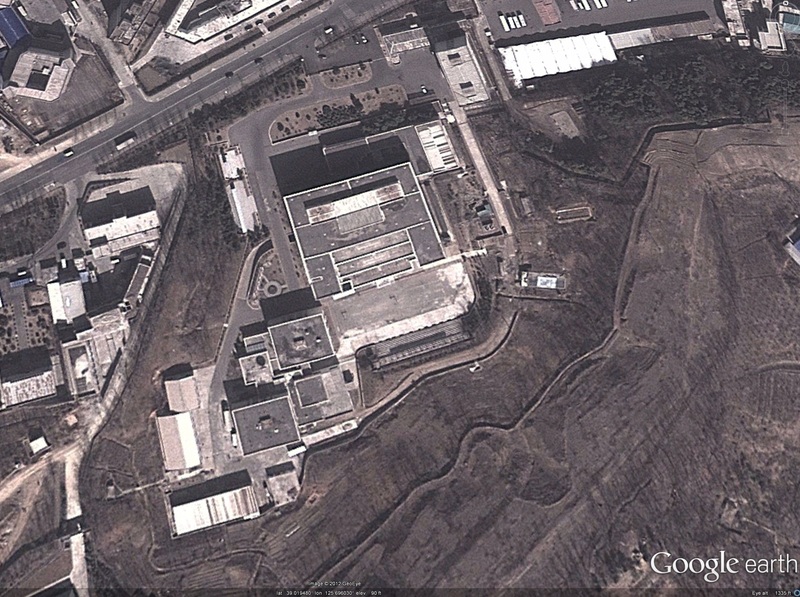 Lee and Morino began exporting daily necessities to North Korea in 2006, according to investigative sources. 1. Martyn Williams also wrote about this. 2. In 2010 The Japanese also arrested an individual for exporting pianos to the DPRK. 3. The North Koreans just released several Japanese they were holding. 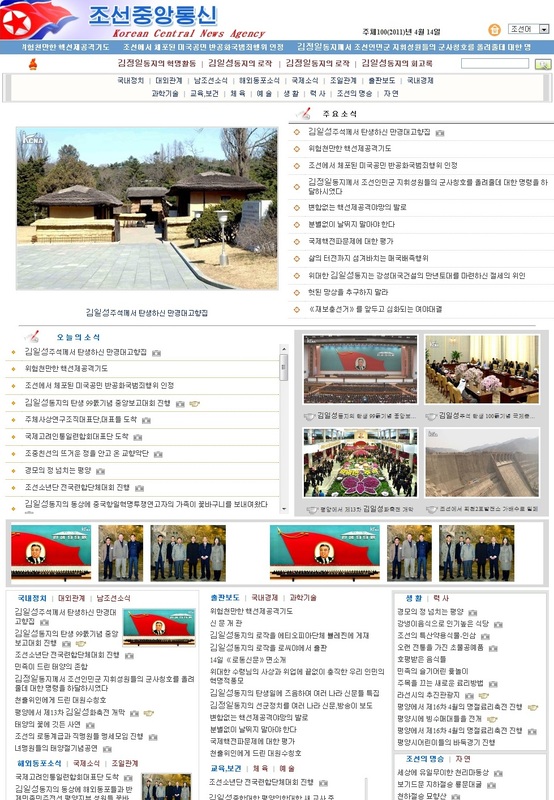 There are two KCNA web pages. The older one is run by the Chongryun in Japan (here). The newer one is managed by the Korea Computer Center (KCC). This newer web page was recently updated. It went off line a few days ago and emerged today with a different format. You can see a screen shot above. Another great change has been the addition of a reasonably functional search bar. The older Chongryun KCNA web page has no search function (Hooray for the Stalin Search Engine). The previous version of the KCC’s KCNA web page contained a search bar that was too small to type “Kim Jong il”. Now you can do a search for “The Great Leader Comrade Kim Jong il”–which produces one result. No doubt Martyn Williams will have more to say about this page when the sun gets to his side of the planet. 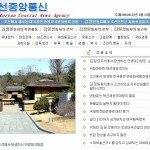 Today he reports on the launch of the DPRK’s new Voice of Korea web page. Eunbyul 2010 is a “Go” game, or commonly known as baduk in Korean; a software program developed by North Korea and played in North and South Korea. Winner of the third Computer Go Competition UED Cup in 2009, defeating so many outstanding programs from all over the world, Eunbyul 2010 is maintaining 3-dan at cyberoro.com and also ranks number one in sales in Japanese computer Go program market. Go was invented by Chinese emperor Yao around 2300 BC, and has been widely played in the three countries in Far East: Korea, Japan, and China. In North Korea, the game was previously considered ‘the bourgeoisie game,’ thus a taboo; however since the 1990’s, the government has promoted Go as a traditional game that dates back to the Three States era; in addition it highlights the game as a brain exerciser that helps children develop their intelligence and old people keep their brains from aging. North Korea classifies Go – also called brain combat or brain fight in the country- as a type of martial arts just like Taekwondo or Ssireum, the Korean wrestling. North Korea’s Go was controlled by Chosun Sports Association, but under the command from Kim Jeong-il in 1990s; it was transferred to Chosun Martial Arts Federation that had better training environment, and subsequently categorized as public sport; now Taekwondo Commission is in charge of the game. Cho Daewon, 22 and MunYoungsam, 33, both amateur 7-dan, are noted as the top players in the country. Along with their passion for the game, North Korea is also regarded as one of the world’s best developer of computer Go game. Since early 1990s, the university computer development group composed of Kim Ilseong University, Kim Chek Engineering College, etc. – has developed computer Go programs. 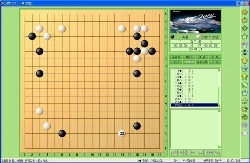 In 1995, Eunbyul Computer Technology Trade Center which is now called Korea Computer Center (KCC) focused on making software programs for Go, chess, Janggi and the like. The Go software ‘Eunbyul 2010 (see the picture above)’ – was imported into South Korea and is now available to the public consumers (here). Eunbyul 2010 is the latest version of Eunbyul 2006, which was released in 2006 drawing attention to the industry. It integrated Monte Carlo Method into the algorithm of the original 2006 version, substantially improving the level of performance. While Eunbyul 2006 was rated level 6 according to Korea Baduk Association’s system, its 2010 counterpart attained 2-dan after the battles with random user at Cyber Oro, the internet Go match website. The user won 54 and lost 46games – 31 victories and 25 defeats in 1-dan battles and 23 victories and 21 defeats in 2-dan battles -hence, with 54 percent of winning rate. The software also won the International Computer Go Tournament held last year in Japan, sweeping all the matches and, thus, proving to be the best of its kind in the world. There are two types of engines in Go programs. Tree search system, in theory, takes more than 361 (factorial) searches for one match because it has to create a move by move searching tool to explore every path. There is Monte Carlo method engine, which randomly selects one of the undefeated moves after proceeding hundreds of thousands of simulated battles to the end. Despite the relatively higher performance (on amateur beginner’s levels), this method was difficult to be adopted for commercial use because it required computation by either supercomputer or tens of CPUs from parallel wired computers. 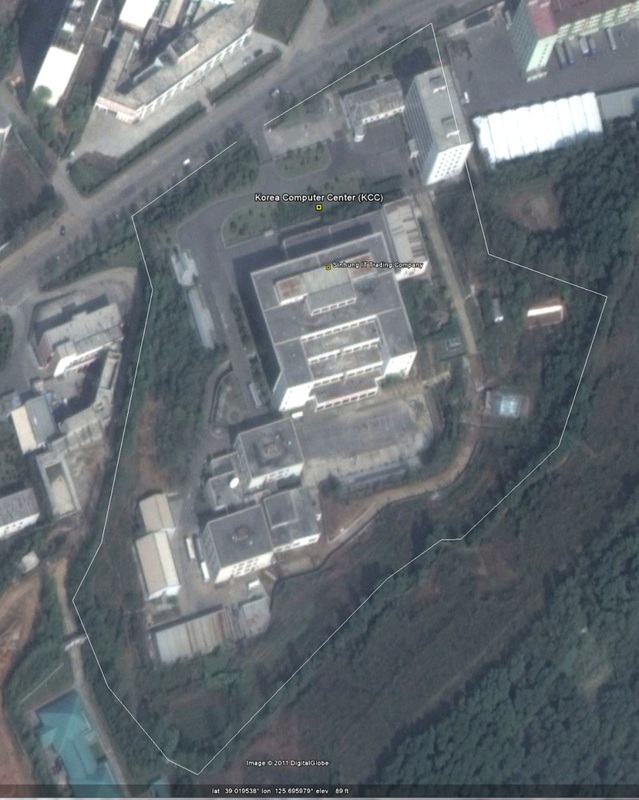 However, the recent success can be largely contributed to the thoughtful collaboration between South and North Korea: i.e., the North Korean engineers spent more than a decade focused and devoted to Go engine development, and South Korea’s also has well-known competence in Go game. The incredible synergy was all thanks to the socialist system of North Korea where the engineers could stick to the Go engine development project for nearly 20 years regardless of its profitability; and also the capitalist South fostered the best Go players with its wealth and the professional Go player system. For those reasons, North Korea could have developed Eunbyul 2010, the best artificial intelligence Go program in the world. 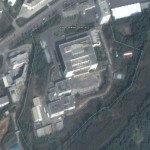 The enterprising team at NOKO Jeans, who are trying to manufacture and export blue jeans from the DPRK, posted some information from the Korean Computer Center‘s Samilpo Information Center. The KCC’s PDF flyer (available here: samilpo_sample.pdf), promotes the company’s software and media products. You are currently browsing the archives for the Korea Computer Center (KCC) category.